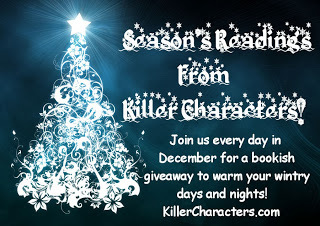 Killer Characters: December Releases for Killer Characters! December Releases for Killer Characters! December is a wonderful time to sit down with a good book and let it take you away from the holiday stress. It's also a wonderful time to buy that special someone a book you know they'll treasure! And don't forget our holiday giveaways! 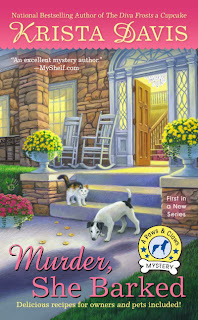 One person who leaves a comment today will receive a copy of Murder, She Barked by Krista Davis! In Sketcher in the Rye, the fourth book in the Portrait of Crime series, sketch artist and private investigator Rory McCain and her ghost partner from the Old West, federal marshal Zeke Drummond, are hired to find out who's behind the sabotage at Harper Farms. 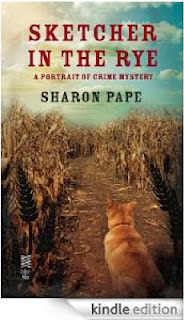 But when Rory finds the body of the farm's accountant in the corn maze, they're soon looking for his killer too. As if that's not enough, Rory and Zeke are forced to face some startling information about the past. 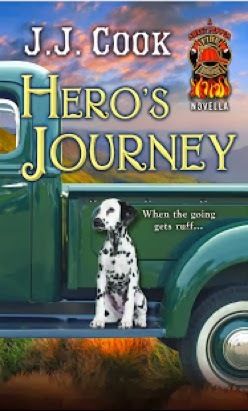 Includes a preview of the January 2014 release, Playing with Fire. Jordan Kelly is delighted to make money tracking down rare mystery novels for her employer, Vera Van Alst, an avid collector and the most hated woman in Harrison Falls, New York. 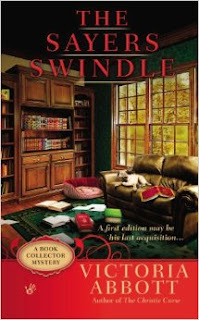 But now Vera’s complete set of Dorothy Sayers is missing, and finding them leads Jordan to a murder suitable for Sayers’ esteemed sleuth, Lord Peter Wimsey.Using all her sleuthing skills, Jordan manages to locate Vera’s missing books, in the possession of Randolph Adams, an elderly man in a nearby town. Offering a valuable Hemingway first edition as an incentive, Jordan thinks she’s about to seal the deal—but some of Randolph’s relatives think he should hold out for more. 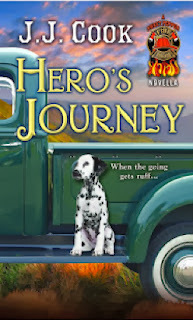 Jordan suspects their motives and their intentions toward Randolph.Before she can hatch a plan, the entire family disappears—and a dead body shows up. Is it Randolph? Or someone closer to Jordan? It’s up to Jordan to make sure a killer gets booked, before the body count rises. To do so, she puts her own life in the line of fire - in every sense. Eccentric artist Forbis Parmenter has invited button expert Josie Giancola to a showing of his latest exhibit of voodoo-inspired works. He plans to make a show of completing the centerpiece--a button-encrusted statue--when Josie arrives with the final button. But just as the big moment comes, Forbis bolts out of the gallery. Is this another one of his publicity stunts? Or is something more sinister afoot? Josie gets the answer when the artist is found dead--his body in the arms of the statue and his eyes and lips sealed shut with buttons. Now she's using her expert eye to solve the mystery before a crafty killer slips through her fingers. The Sugar Maple Inn in Wagtail, Virginia, is the country's premiere vacation hot spot for pet owners who can’t bear to leave their furry friends behind. But this tourist town smells trouble when a killer goes on the prowl…. This is a gteat month for books!!! My to be read pile just got larger. I hope every one had a great Thanksgiving. My list of books to read just got longer too. Barnes and Nobles, here I come! These are all good books. There are some good books coming out. I love the button series. So many new stories for my wishlist! Christmas afternoon is always my time to sit and read a good book---and there's lots of good ones to choose from this year.